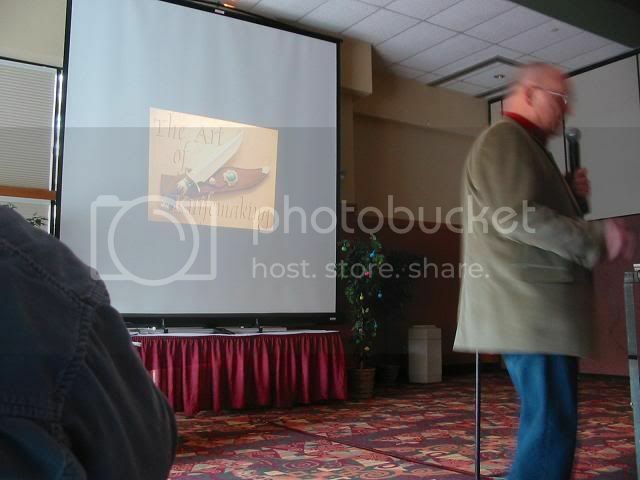 I just returned from the Annual gathering that was held at the Chula Vista Hotel in the Dells. It was a great event that was well attended by the membership. I got there early enough to see the seminars. The first one I sat in on was devoted to knife making (another hobby of mine) Ed Brandsey, is a very gifted artist. His knives are a thing a beauty. I also spent some time viewing the vendors tables and the products they had to offer. 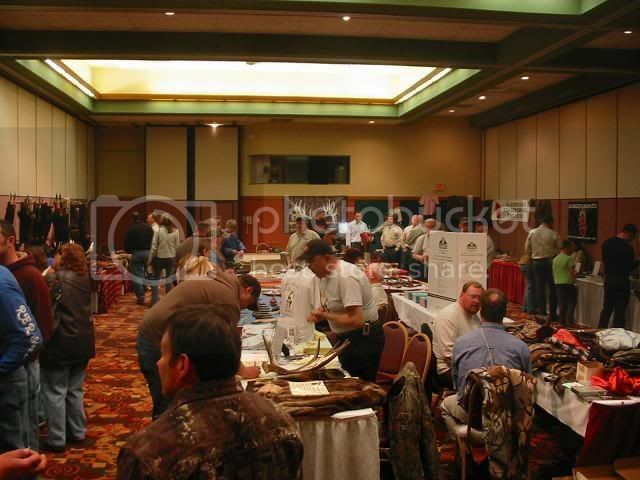 There was also an area and folks promoting the Wisconsin Bowhunters heritage museum. 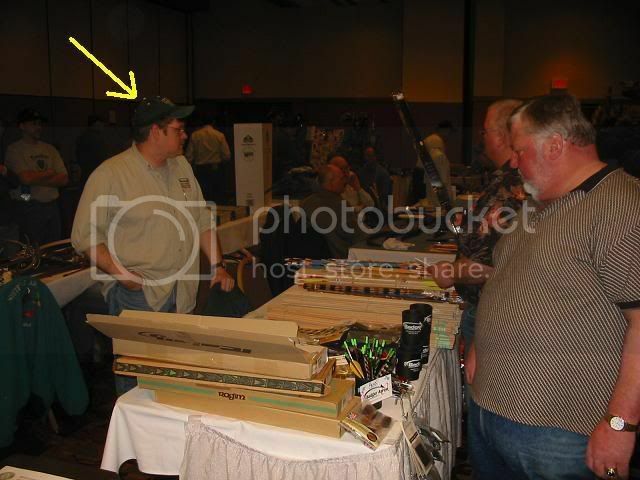 This fellow is WBH forum sponsor, Paul Mattson of Badger Arrows. Paul was one of the many vendors. 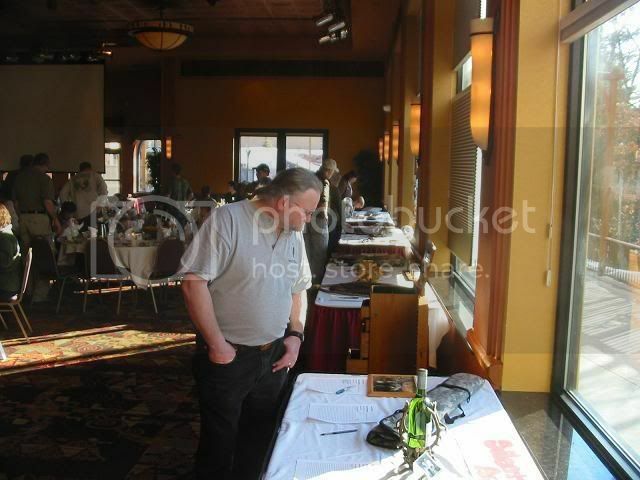 There were many silent auction items available. As well as lots of raffles. These bows and others like them would be going home with some lucky folks. 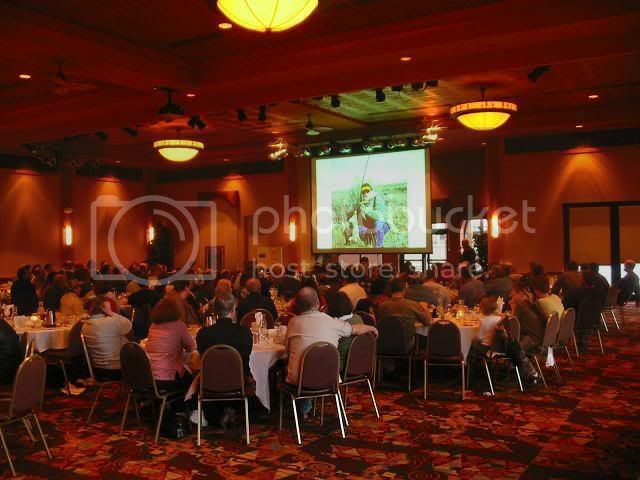 The banquet portion of the day sat just over 200 people and we heard from Keynote speaker, David Petersen of Durango, CO. He spoke on elk hunting out West. It was a fun day of fellowship that included lots of women and children. I would call the event a great success and I'm glad I attended. Great job on a great event. Personally, I loved the location.... it let's me bring the family and if they prefer to do something other than attend the seminars and vendors, they can do that. Great job. You all deserve a pat on the back. Geez, I can't forget the sponsors and vendors.....the underappreciated folks that fund this event. A great big thanks to the sponsors and vendors. I kow I certainly enjoyed it! got to talk to lots of people and hear some great speakers. Can't wait til next years banquet already! My wife and I had a great time as usual. I know my nephews want to go back again next year. You will be seeing more of them guys, they are hooked!!! All the kids love these banquets. 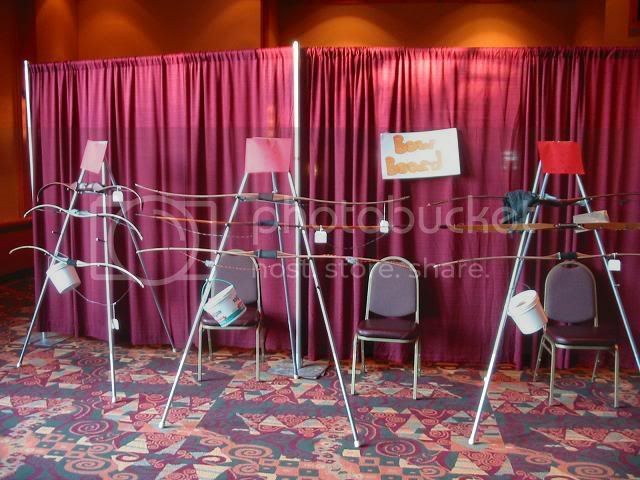 Saw a couple in the hall with the bow sets they won and I bet they slept them. Let's see more kids there folks. My son and I had a great time at the WTA banquet. I know what kind of work goes into putting one of these events together and my hat is off to all those involved, from the board members, vendors, donors, speakers and all the unsung heros that make banquet successful. I also can't say enough about the caliber of speakers that WTA has had. Dave Peterson is a fine man. I agree, the facility was very nice and we will definitely be back in the future. Thanks for posting the pics, Ron. This was my first banquet. It will now be an annual event for me, I met alot of people and had a great time. My Thanks go out to everyone. My family had a great time as well. Frank we missed you. Next year I will save some seats at my table for you! Hey Bill, We will be there next year for sure. Especially with the special guest speaker whom we feel is a super fine gentleman and friend and hoping to be able to attend. That one will not be missed and looking forward to spending time and a table with you and Gayle, she's a riot! Gotta go and visit the old original trading post in town too many a beaded items of mine went through there. This was truly a great banquet and hats off to all the people who worked endless hours of preperation. I would also like to thank Mike Mitten. This man truly goes to the inner core during his hunts. For someone to spend as much time in the woods hunting solo and for as long a time frame as he does says something about the man. I have had the pleasure of being at his home and the head mounts he has displayed along with the stories of the hunts are truly remarkable. He is a humble man that gives as much to the meaning or compassion of traditional archery and wildlife as a select few. Thank you WTA and see you next year.